Home Science for Kids 5 Ws & H Why is the Dead Sea dead? 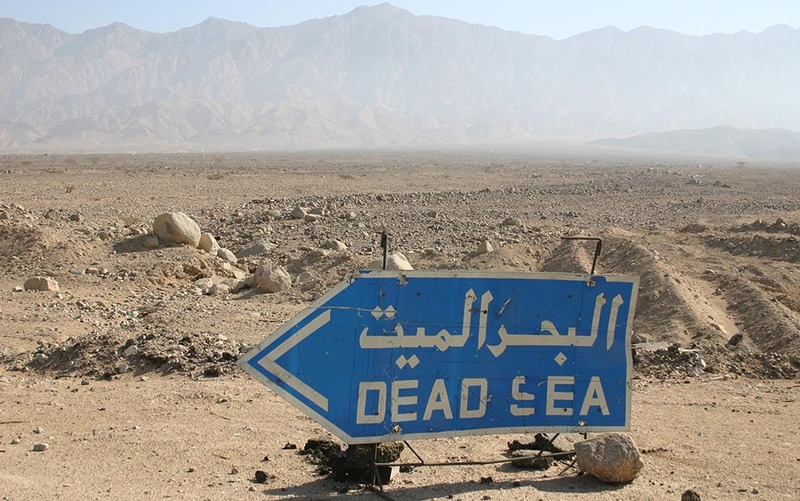 The Dead Sea is indeed a very scary name for a lake. It is called so because nothing lives in it. There are no sea weeds or plants, no fish either. This is because the Dead Sea is nearly six times as salty as the ocean. It also contains many other dissolved minerals, including magnesium chloride, calcium chloride and potassium chloride in large quantities. Whereas in fresh water, only minute quantities of these minerals are found. The high concentration of salt makes plant or animal life impossible. The oceans and seas combined cover nearly three-fourth of the Earth’s surface. These sources of water are unfit for drinking as they are salty. Many minerals like Sodium, Chlorine, Magnesium and Silica are found on the surface of Earth. Every time it rains, tiny amounts of these minerals are carried into rivers, and ultimately to the seas, along with rainwater. The two most abundant elements in sea water are Sodium and Chlorine. These combine to form salt, making the sea (and ocean) water salty. Why is the Dead Sea saltier than other water bodies? The Dead Sea is actually a lake. It is 77 kilometres (48 miles) long and between 5 and 18 kilometres (3 and 11 miles) wide. It is situated between Jordan and Israel. The Jordan river and some small canals drain into it. But, unlike other seas or lakes, no river originates from the Dead Sea. As a result, the water depletes only by evaporation. In this process, only water evaporates, leaving the salt behind. The rate at which the Dead Sea loses water is far greater than the rate at which it gets replenished with rainfall. As a result, over a period of time, the water has become saltier. A very interesting fact about the Dead Sea is that you can never drown in it. In fact, you can float on the surface like a log of wood. Since the amount of dissolved minerals in the water is very high, the density of the water is also very high. For a body to float on water, it has to displace water equal to its own weight. This is the reason why a ship floats, but a steel ball sinks. Since the density of the water in the Dead Sea is very high, the amount of water which a body needs to displace in order to float is very low. So you can actually read a book while you are floating on its surface. Consider this, many years ago the Dead Sea was much larger and not quite as salty as it is today. Since then, evaporation has resulted in the loss of water, and the Dead Sea is much smaller and a whole lot saltier. In fact, the same logic applies to all the other seas and oceans, which have no outlets. They too are getting saltier each year. Previous articleWhy’s it hard for Ketchup to flow?